Over 60 retail and specialty tackle shops will have truckloads of product stocked and discounted…. ready to get your season off to a great start. All the brands your looking for plus some secret “Weapons” that could give you just the edge your needing over your fishing partner. Many manufacture reps and pro-staffers will be on hand to help with techniques to make the most of your tackle. Don’t be afraid to ask questions or share comments. These guys LOVE to talk fishing. 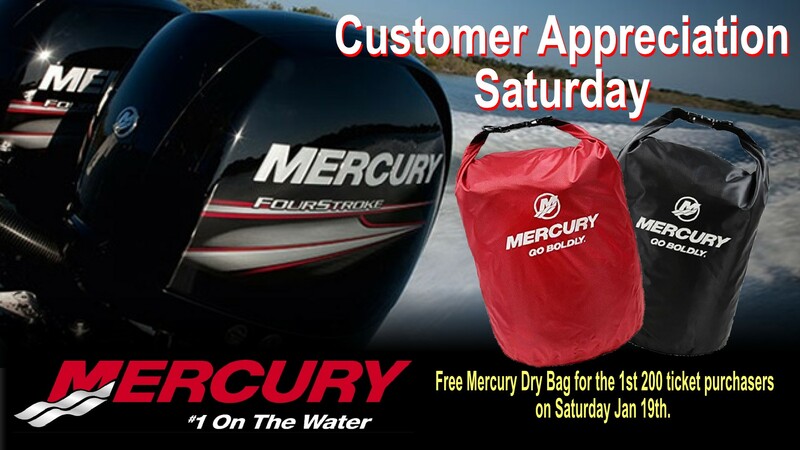 Be one of the first 200 ticket purchasers (adult, senior or child) on Saturday morning Jan 19th and receive a free Mercury Marine Dry Bag courtesy of Mercury Marine. 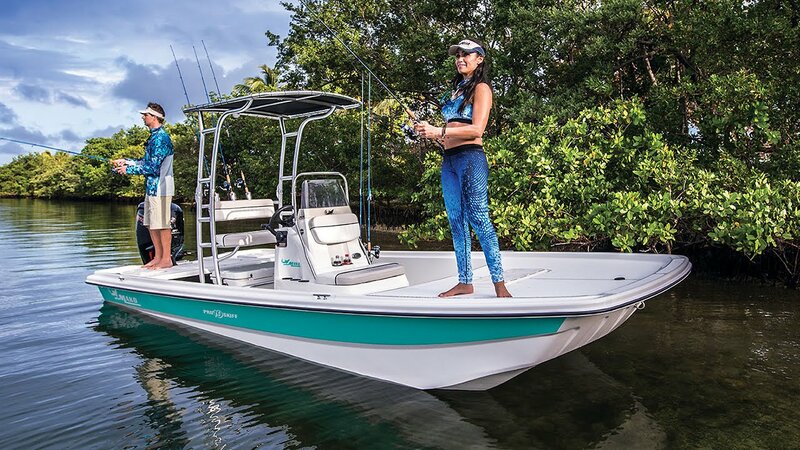 Check out the 2019 Mercury Outboard lineup with your local dealer…. LOOKING FOR THE PERFECT BOAT ? Participating Marine dealers in this year’s event will post the lowest pricing seen in years. HUGE discounts on 2018 & 2019 fishing boats. There a boat for every budget. Most units are rigged and ready to hit the water. There has never been a better time for the boat buyer then right now. You’ll never see pricing this low again. 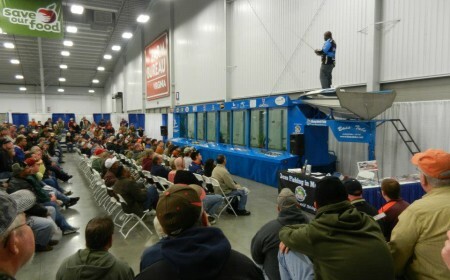 Coming to the Richmond Fishing Expo makes everybody a WINNER. There is no better win than spending the day …or the weekend…. talking about fishing. But wouldn’t walking away with a little FREE STUFF make it that much sweeter? Thanks to the vendors at this years show we have close to 100 free gifts to give away to randomly drawn attendees. Then on Sunday …we will have our Grand Prize Drawing sponsored by Mercury Marine. 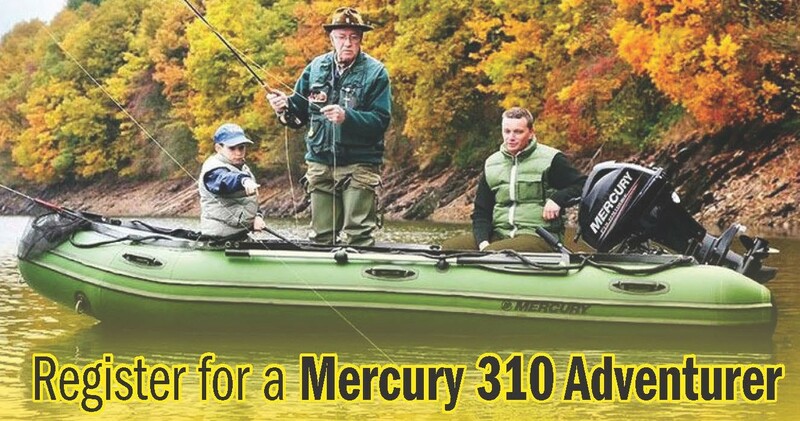 They have hooked us up with not only a 2019 Mercury 310 Adventurer Inflatable but will also outfit it with a Mercury 8EH 8 hp Tiller outboard. We’ll draw 1 lucky winner on Sunday January 20th @ 4pm. Be sure to sign up in the show lobby. You do not have to be present to win, there is no purchase necessary…AND… no sales calls…. JUST GOOD FREE STUFF ! The Mountain Trout Pond Simulator returns this year with more fun for the young and young at heart. Try your luck in catching one…or more…. farm raised rainbow and brown trout ranging from 1/2 lb to up to 3 lbs. Keep’em or Release’em. Just to make it a little more exciting, we’ve tagged a few dozen of them and if caught the angler will receive a limited edition Fishing Expo T-shirt. SEE THROUGH ACTION on the OKLAHOMA BASS TUB…. Listening to the pros talk about their secrets is one thing….but seeing them in action is always another. Bass Tubs of Oklahoma returns as the backdrop to all of the bass fishing seminars for the weekend. This 4,000 gallon simulation tank will be stocked with large mouth bass and will allow you to see the lures and techniques in action that makes these guys so successful. Presented by Hunter Samakool.